How long have you been living in Albany? Whether you’re a new resident, or a long-term member of the community, we’re happy to have you here. Looking to break into the Albany dental community? Dr. Robert Scotto’s office is currently welcoming new patients. Our convenient location accommodates patients across upstate New York, and we’re always thrilled to broaden our patient base. As we age, there are so many things we gain – wisdom, family members, success, and other intangibles. At the same time, the aging process has a few less rewarding results. Our bodies change in countless ways, and our smiles aren’t exempt from the ravages of time. Your teeth are susceptible to damage, and their decline will result in a less impressive grin. This impacts your personal confidence, and your overall appearance. Have you been feeling anxious about a missing tooth? It’s time to check in with a professional. Dental implants are just one way to rebuild missing teeth, but they’re possibly the most rewarding option. And the process doesn’t have to be uncomfortable. 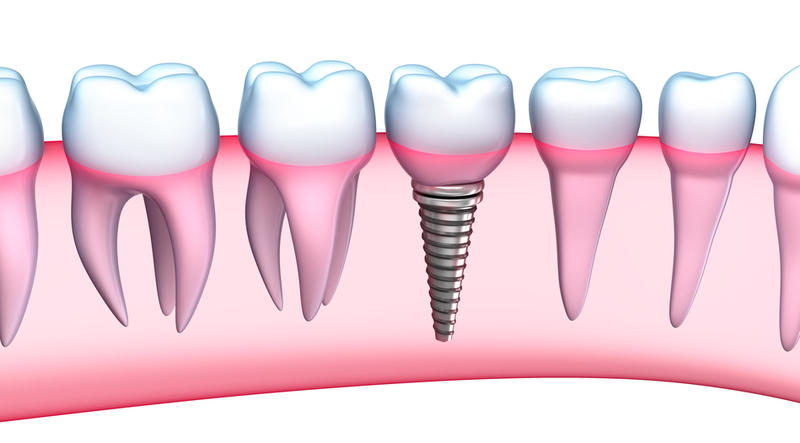 When you receive dental implants in Albany, Dr. Robert Scotto guides you through each step. With careful preparation, you’re able to make your implants really last. Your restorative process is unique to you. And we will do whatever we can to make it a successful, satisfying one. Our personal approach will leave you feeling heard, and well cared-for. Your gorgeous, healthy new smile will offer benefits for years to come. The first step is finding dental implants in Albany, from a provider you have faith in. Contact Dr. Robert Scotto and our staff will schedule your initial consultation. During this first appointment, we will take x-rays, perform a visual examination of your mouth, and begin determining a treatment plan. All you have to do is Contact Us, or call (518) 374-9770.